26 AbrSpanish inheritance tax: Don’t pay twice! I’d like to speak for a while about inheritance law, but not from a theoretical scope but through a practical approach. I will highlight some of the difficulties that may come out when the inheritance affects people living in different jurisdictions, with different nationalities or with assets spread in several countries. The world is getting smaller and it is very common to find people owing assets in different countries. Following the EU official information, 450.000 cross-border successions take place in the EU every year. Which law applies to the succession? What happens with the assets abroad? Does the last will not cover all the assets wherever they are? How shall the heirs pay the inheritance tax? Where? How much? How to avoid paying twice? Successions with cross-border elements are usually complex. Surfing through internet will allow the eventual heirs and executors to get some guidelines about how to proceed but finding the right information regarding international inheritances without getting lost or mislead it is almost impossible. Furthermore, in Spain there are 7 different jurisdictions for what regards civil inheritance laws and there are 17 different jurisdictions, one for each region (“comunidad autónoma”), for what applies to inheritance tax. In conclusion, the matter is complex from a theoretical and practical point of view and whether you are an heir, the executor of the will or the administrator of the estate, it is highly advisable that the transfer of estate process is done with the assistance of professional people. 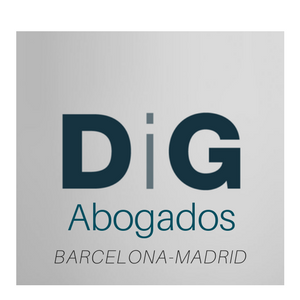 At DiG Lawyers we have a team formed by specialist lawyers, all of them multilingual, with a high degree of experience giving advice to foreign clients and covering all the subjects related to cross-border inheritances, from taxes to most basic paperwork. Preliminary legal advice about the law applying to the succession. Coordination with the lawyer/s abroad dealing with the succession (estate assets located in other countries). Getting a copy of the last will of the deceased person (provided that the last will was registered in Spain). Drafting the document for the inheritance acceptance. Dealing with the necessary paperwork for the heirs, if they are not Spanish citizens or residents, in order that they are formally capable to receive the Estate. Calculating, filing and paying the Inheritance tax in Spain (several taxes may apply if there were assets located in different Spanish regions). For real estate assets, getting the ownership transfer lodged at the Land Registry. We also provide succession planning services, either from a civil and tax scope. This service may be very useful in order to save hassle (and even money) to the future beneficiaries. Many years ago, Benjamin Franklin wrote: “In this world nothing can be said to be certain, except death and taxes”. The quotation by Benjamin Franklin is more than 200 years old but it’s still valid.